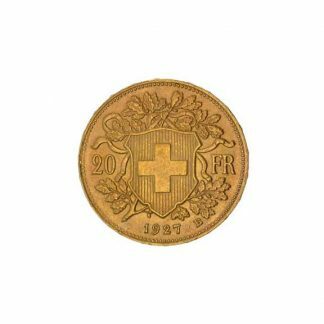 The Swiss 20 Franc Helvetia is one of the classic smaller gold bullion coins with a rich history dating back more than 100 years. And during that time it has stood for Swiss independence, sovereignty, fiscal strength and a real gold-backed currency. This Swiss 20 Franc Helvetia gold coin is legal tender minted by the Swiss National Mint in Bern, Switzerland. This popular bullion coin is 90% gold meaning it contains a small amount of copper added for strength and durability. 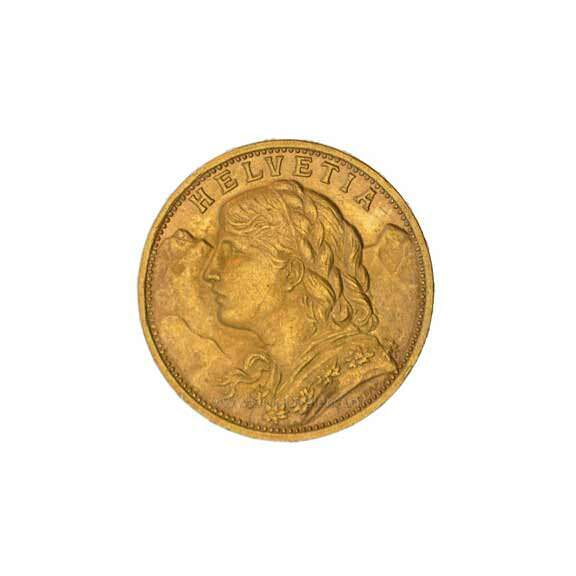 The Swiss 20 Franc Helvetia weighs 6.45 grams and contains 0.1867 oz of gold. The Swiss 20 Franc Helvetia was struck in large quantities between 1897 and 1949 and was a bank reserve throughout Europe, trades for a small premium over its melt value and fluctuates directly with the price of gold. The design was so popular re-strikes were produced beginning in 1935 and moving into the modern gold era. A re-strike is an authorized production by the Swiss National Mint which carries an earlier date. The front of the Swiss 20 Franc Helvetia features the “Swiss Miss” of Switzerland folklore set against the Swiss Alps and the word Helvetia (the female national personification of Switzerland). The reverse features the Swiss Coat of Arms, its legal tender value (20 FR) and the date. These bullion gold coins trade for a small premium over their melt value. The legal tender value of 20 FR is symbolic but an important plus because it supplies the guarantee of a sovereign nation as to weight and purity. There are additional advantages to owning the Swiss 20 Franc Helvetia (1) because this gold coin was used as a bank reserve during the gold standard the condition of many Swiss 20 Franc Helvetia is new which is extraordinary yet it still trades like a bullion coin. (2) Its smaller size makes for a handy barter in case the value of paper currency is challenged. 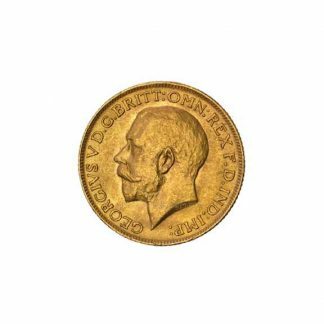 (3) Its long minting history makes the Swiss 20 Franc Helvetia easily identifiable as a gold bullion coin and easily priced by dealers worldwide. 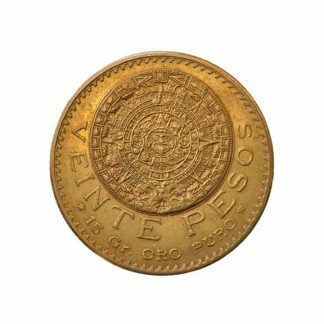 (4) There is no reporting requirement (Federal Form 1099B) for this bullion coin when you purchase or sell keeping paperwork to a minimum. I have been coming to CNI for a number of years because of the excellent service here. The buy/sell prices are fair and based on the market. It’s a safe environment and I feel comfortable asking questions. The Swiss 20 Franc is one of the world’s classic bullion coins and I like having it in my portfolio. Don’t buy into the pre-1933 mythology. Bullion is bullion. The Swiss Franc is an excellent investment! I’ve been shopping at CNI for several years because of their terrific customer service! The folks here are knowledgeable, friendly, and professional!